On the Italian border of the canton of Valais in the west of Switzerland, at the end of the 30 km-long Nikolaital, lies Zermatt, the village at the foot of the Matterhorn, the most photographed mountain in the world. For our guests from all over the world, Zermatt epitomises their image of Switzerland: high-alpine, awe-inspiring and original. Almost one-third of the 4,000-metre mountains in the Alps are grouped around this word-famous health resort, which has been visited by mountaineers from all around the world since the first successful ascent of the Matterhorn in 1865. The hotels and restaurants are world-class, and the ski area is not only the highest in the Alps – it is also one of the best developed and most convenient in the world, ensuring thrilling sporting experiences on the steepest slopes in the world – and that 365 days a year. The climate is of an excellent quality: with 300 sunny days a year, there is less rainfall than anywhere else in Switzerland. The air in Zermatt is clear, dry and clean, because, since 1947, only electric cars without a combustion engine are allowed to operate in the village. Things are a little different in Zermatt. 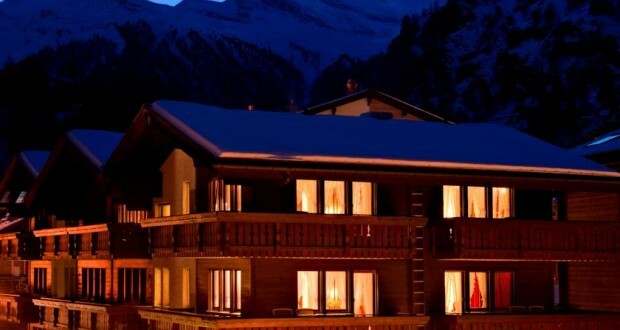 Zermatt – A world of its own.